On May 10, 2016, Weistek will launch its crowdfunding campaign on Kickstarter to complete the development of MiniToy—the world’s first kid-friendly and educational 3D printer. 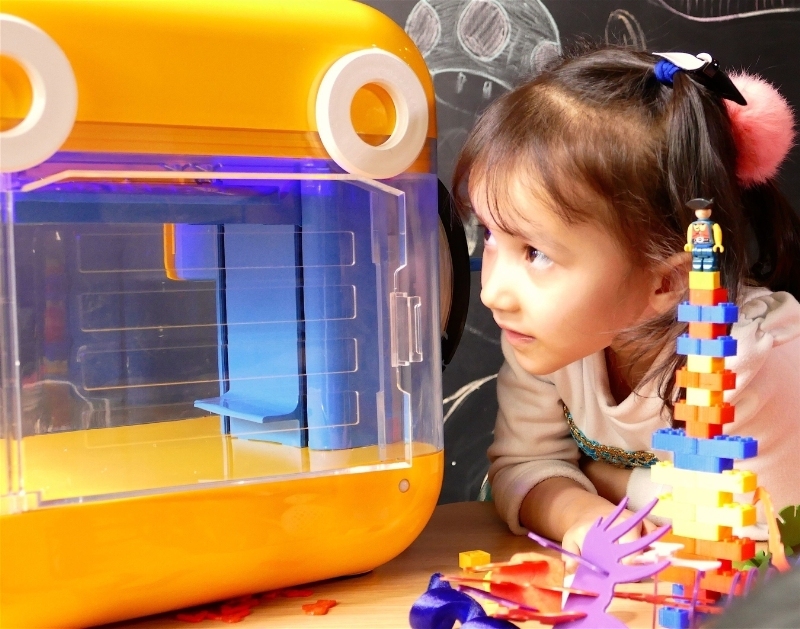 The MiniToy is the world’s first education-integrated 3D printer made specifically for children. It’s fun, easy to use, and empowering. The MiniToy can be used by kids from the age of 4 to create a variety of things. Families and classes can print toys to play with and accessories to wear. They can even print things like historical artifacts, molecules, and buildings to give children a more active role in their learning process. Since the creation of the first 3D printer in 1986, the new technology has helped industries streamline their design processes and allowed them to lower their production costs. The 3D printer is now being used in many different ways, including helping the blind and partially-sighted to communicate. Now, Weistek is taking it to the next level by introducing it as an important educational device that will allow children to develop even further. MiniToy was first introduced at the 2016 CES, Consumer Electronics Show, in Las Vegas where it received raving reviews from the public. At this year’s Global Sources Electronics Show in Hong Kong, MiniToy received a China Daily Innovation Award for one of the five “Most Promising Electronic Gadgets”. Each winner was selected for its creativity and innovation, as well as its real-life applications. Upon reception, Weistek’s Vice President of Business Development, Ken Kwok spoke about the barrier of introducing advanced technology to young minds, and why MiniToy’s design had to be captivating. The MiniToy has two unique features. The first is its STEAM education platform. The easy-to-use mobile app categorizes each 3D model into a STEAM category and contains many STEAM-based activities that can be done at home or in school. If the Kickstarter campaign is successfully funded, Weistek will dedicate a portion of the funds to research activities specifically for students with special needs. This is an important goal for us to reach because MiniToy’s accessibility can promote unprecedented development in students who face learning challenges in school. The second incredible feature is Safety. The R&D team designed MiniToy so that it’s safe to use long-term at home and in schools. MiniToy’s mechanical parts are hidden to prevent accidental burns. All of the printing materials supplied by Weistek are toxic-free and biodegradable. At Weistek, they specialize in making faster, more precise, and highly efficient 3D printers. While developing the MiniToy prototype they have received two patents and created ten patent pending technologies. Their extensive knowledge base and expertise in 3D printing make the MiniToy a reliable, trustworthy product. The MiniToy is lightweight, simple, and safe to use. The educational and safety features alone have already made a significant difference in the way students learn, and the company behind the product wanted everyone to witness this transformation. Visit www.myminitoy.com to see more details on how to be one of the first to own a MiniToy. There is a limited number of early bird special units priced at only $249 and is available to those who sign up for the email list. Weistek, founded in 2011, has quickly earned the title as the leading researcher and manufacturer of consumer desktop 3D printers, filaments, and software. During the development of MiniToy, the company accumulated 2 approved patents and 10 pending patents. Three years ago, Weistek built a new production site of 4000 square meters in Shenzhen to meet the fast-growing needs of the market.